This mixed blend replicates the exact natural (Mediterranean/desert) environment of the Russian Tortoise, making it the ideal and perfect substrate for your housing. 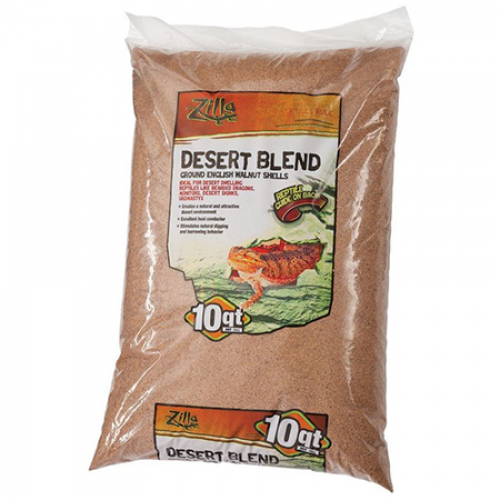 This will also work well with any other desert reptile because it keeps the moisture out of their housing, which eliminates health issues such as shell rot and respiratory related problems. We offer the lowest prices with 3 size options to choose from, fitting any size enclosure. Select your size below at the drop-down menu and we will have it shipped to your doorstep lightning fast! The perfectly natural and aesthetically pleasing desert environment bedding. 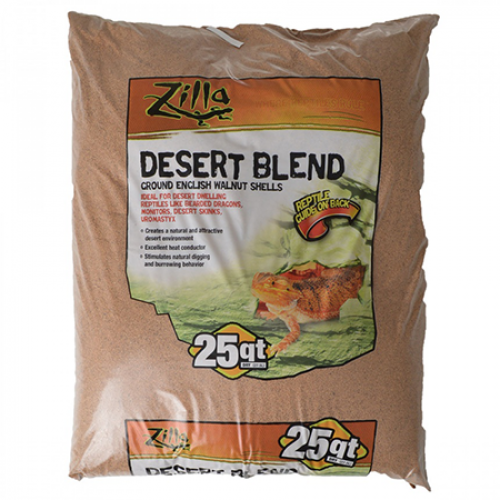 Zilla Desert Blend is an outstanding heat conductor that stimulates natural, Russian Tortoise burrowing behavior. Thanks to the 100% natural ground English walnut shell, your Tortoise will have a healthy, dust-free environment to thrive in. 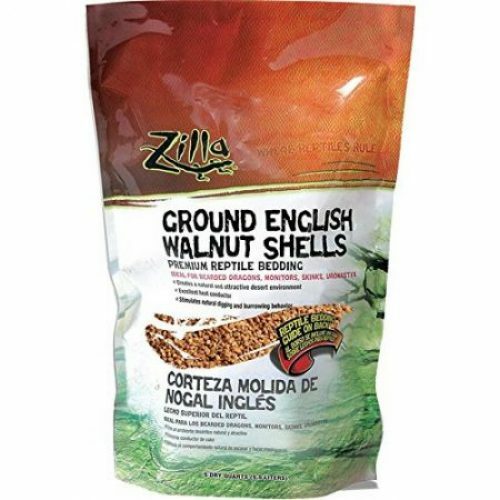 Zilla Reptile Bedding comes in 5, 10, and 25-quart sizes. Buy today and we will rush your order and send you a free course directly after purchase! Great stuff Zilla. I had been looking for a healthier, dust-free substrate for my Russian Tortoise’s cage. A good friend recommended this to me and I can tell you that I’ve never been more pleased! Using this for my glass tortoise cage! Solid value. Nice and lightweight, easy to clean, and my tortoise seems to love it. Would highly recommend. Simple, healthy, and hard to mess up. The perfect substrate for my Russian Tortoise.